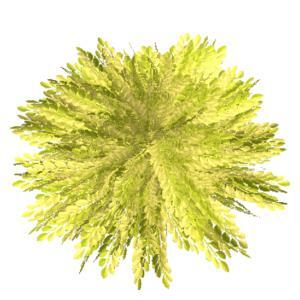 Berberis 'Golden Nugget' is a small golden yellow barberry with non burning foliage. It has a tidy, dwarf habit and is slow growing reaching just 30 cms at maturity. The foliage is yellow with a slight orange cast to the leaf tips making an effective pairing with darker foliaged plants. It has small yellow flowers that give way to red drupes or fruits that persist into the winter providing food for birds. It is drought and salt tolerant. It is effective in mixed borders, as an edger or as a rock garden specimen. 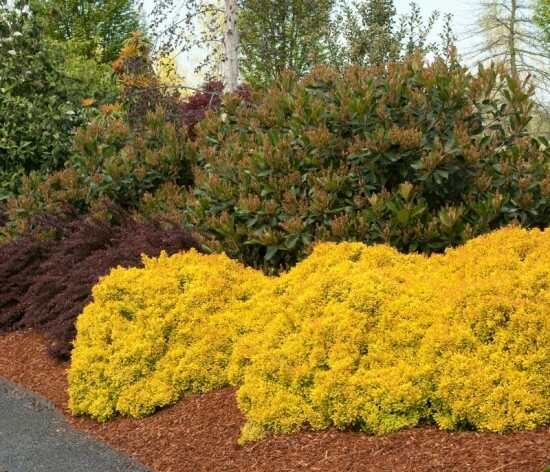 Barberry 'Golden Nugget' is an easy care low maintenance shrub that it is adaptable to a broad range of soil conditions except winter wet. It is drought tolerant once established. It can be shaped at any time but pruning is rarely needed because it has a naturally compact habit. Wear gloves when handling this plant because it is thorny.